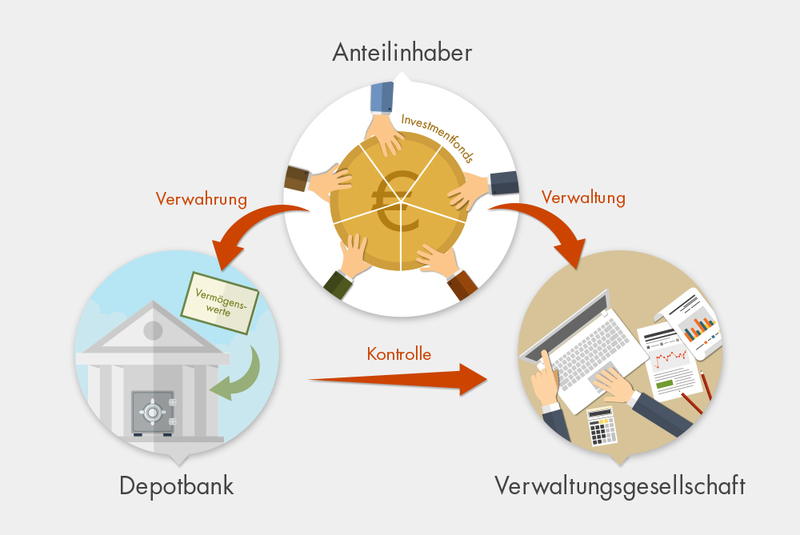 The Financial Market Authority supervises various types of Austrian investment funds and their managers. In this section you will find information on the legal basis for funds, selected key indicators, information documents and about the Financial Market Authority’s statutory mandate. These funds are managed by investment fund management companies, real estate investment fund management companies and alternative investment fund managers (AIFMs). 18 investment fund management companies (of which 16 are licensed as alternative investment fund managers) with fund assets managed of EUR 175.43 billion. An additional four companies, that are exclusively licensed in accordance with the Alternative Investment Fund Managers Act, as well as 24 registered Alternative Investment Fund Managers manage fund assets of EUR 1.14 billion. 5 real estate investment fund management companies (at the same time alternative investment fund managers) with fund assets managed of EUR 7.47 billion. As of 31 December 2017 a total of 2,084 funds managed by Austrian investment fund management companies or alternative investment fund managers were authorised for sale in Austria. Please refer to the current Annual Report of the FMA for more details and statistics. The investment fund, which collects capital from investors (“unit holders”) is the focal point. Investment funds are managed by “management companies”, with investment occurring as a rule in accordance with the principle of risk diversification. 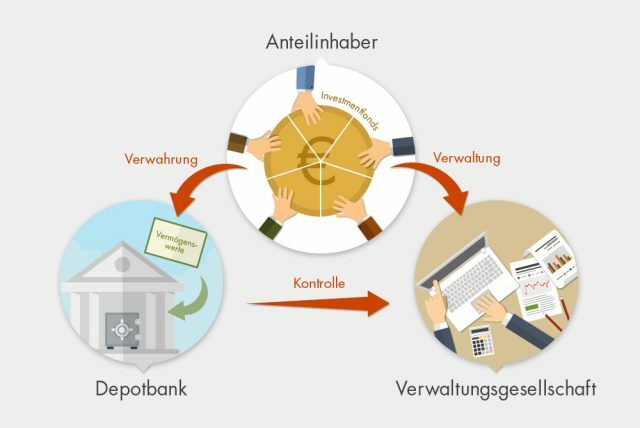 The activities conducted by the “custodian bank” take place separately. Its purpose is to ensure the safekeeping of assets, and to monitor the dealings of the management companies in the interest of the unit holders. If you are interested in investment funds or would like to invest in them, please refer to the relevant documents such as, for example, prospectuses, key investor information documents, half-yearly reports and reports on activities. The structure of these documents has been standardised in EU law so that financial products can be easily compared. As banks, investment fund management companies and real estate investment fund management companies are subject to supervision by the Financial Market Authority. The FMA has also supervised alternative investment fund managers (AIFMs) since 2014. The FMA is required to perform the official tasks and use the powers as laid down in the abovementioned legislation (BWG, InvFG 2011, ImmoInvFG, AIFMG and, where applicable, the WAG 2007). Furthermore, the FMA is required to enforce numerous regulations. The FMA’s official tasks and powers include supervisory procedures that cover both notification and approval processes. The fund-specific notification procedures relate in particular to the submission of annual reports, half-yearly reports and special fund reports, as well as the submission of notifications regarding the closure of funds, the delegation of tasks and any material changes as defined in Article 29 para. 5 AIFMG. As far as approvals are concerned, the fund rules as set out in the InvFG 2011 play a key role. They regulate the legal relationship between investors, the management company and the depositary. They must be approved by the FMA before the fund is issued and provide information about the specifics of the investment. Further procedures relate, for example, to any changes to fund rules, as well as the approval of mergers, management transfers, depositary changes or the granting of marketing licences pursuant to the AIFMG. In the context of the harmonised internal market, the FMA must also process notification documents for Austrian and international funds in connection with cross-border marketing within the European Economic Area (EEA). Investment fund managers must adhere to a number of reporting requirements. An amendment to the BWG had the effect that the responsibility for carrying out on-site inspections at investment fund management companies and real estate investment fund management companies has been with the Financial Market Authority since 1 January 2011. The FMA is also in charge of on-site inspections pursuant to the AIFMG and, in connection with funds, conducts inspections at their depositaries. Other official powers include analysis activities covering such tasks as evaluating the supervised companies’ financial statements as well as conducting annual management talks.